It only took us about half an hour to hike the steep self-guided Big Tree Trail to La Mina Falls inside the gorgeous El Yunque National Rainforest. 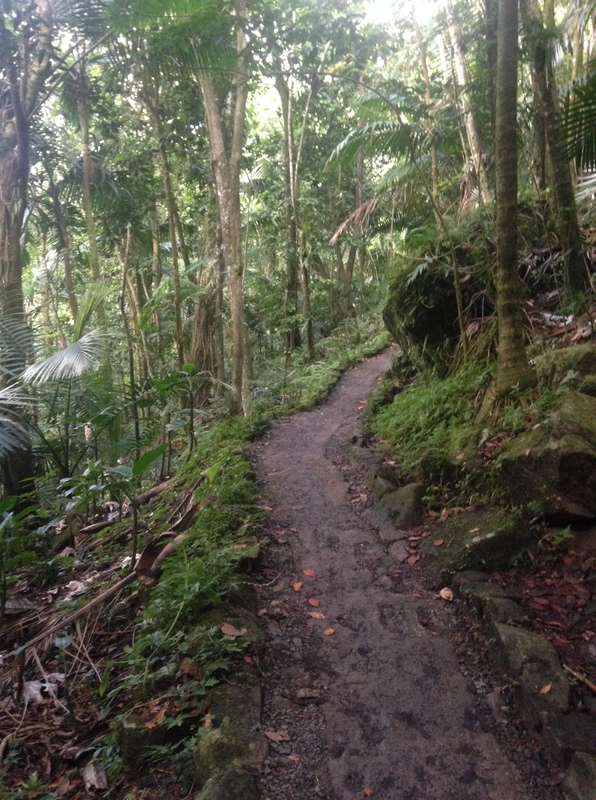 The 3-mile hike is a beautiful one, dotted with thick bamboo, giant ferns and bright mosses. Fortunately, the trail has several concrete sets of (slippery) stairs to keep you from losing your way, but not your footing. Step lightly! We noticed several “rest stops,” or concrete picnic shelters along the path that provided benches and even charcoal grills! Say what? Smokey Bear would not approve. Our reward? 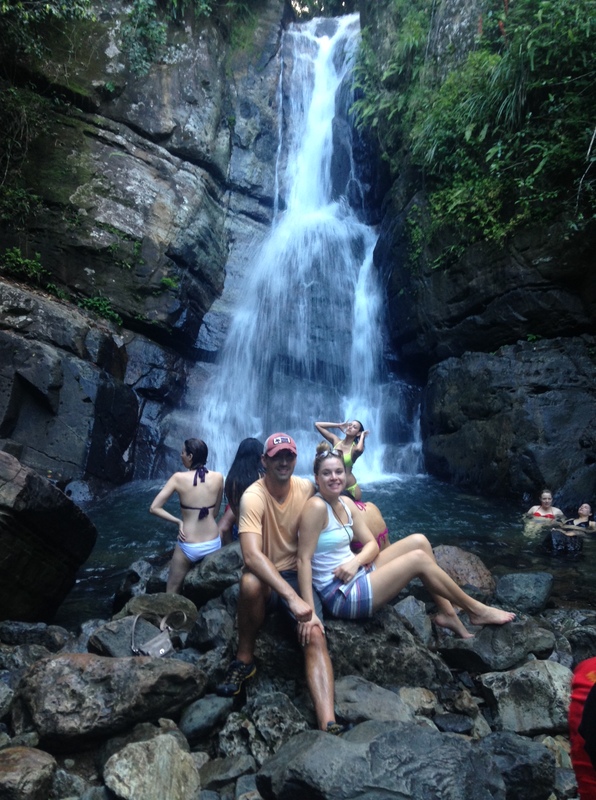 The spectacular 35-foot waterfall that drops over a jumble of huge rocks into a chilly pool, where hikers can rest, take a dip or observe the natives in their natural habitat — like the woman filming a Nair commercial in our photo bomb below. No, but our car will get locked in for the night. I sure enjoy fine dining. But when presented with coffee and a fried egg sandwich straight outta the back of a van in Puerto Rico, that’s cool, too. In fact, on a recent trip to the airport — that’s exactly what we did. Can’t be much different than a food truck, right? That’s what I told myself, anyway. For some reason, I did not retreat when he offered me a cup — even after that nickname. I wanted to be polite, so I gave the ole antibodies a quick pep talk and took a sip. Mr. W eyed me suspiciously. He knew what I was thinking. Am I gonna be allergic to something in this? I’m totally gonna break out in hives. Manners will be the death of me. The juice was thick and sweet — a Puerto Rican V8, maybe? Lord only knows. I asked Domi what the drink was made from, but the only part of his response that I could make out was zanahorrias, aka: carrots. Now I’ve never met burgundy carrots, but I suppose I could have overlooked that booth at the Austin farmer’s market. After the questionable apéritif, Domi handed me a little Styrofoam cup packed with arroz con gandules, the island’s national dish. Now we’re talkin’. The soupy snack was chock full of rice, peas and thick chunks of what I can only assume was ham. Jamon is a part of nearly every dish in PR — and reminiscent of many meals I had in España. I gotta say, the unexpected sampler was quite an introduction to Puerto Rican street food. 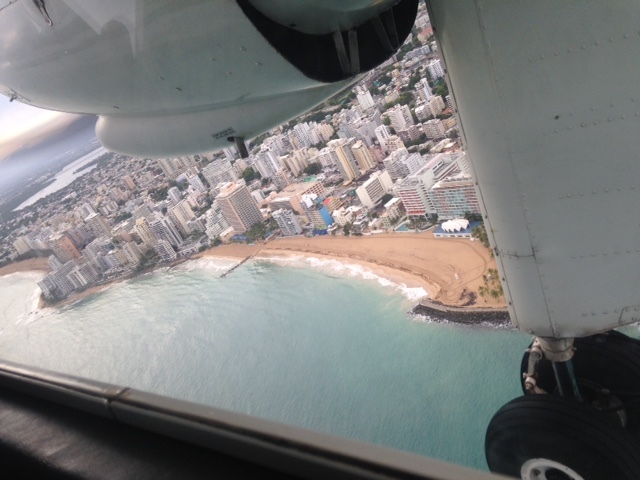 The airport snacks were surpassed only by the spicy chicken pinchos we bought at the park in Fajardo the next night from the guy who taught me how to dance La Plena — a native folk genre of music with hand drums. I didn’t tell him about the half a dozen years I spent in Mexican folkloric dance boot camp as a kid. I had to laugh at the surprised look on his face when I caught on. 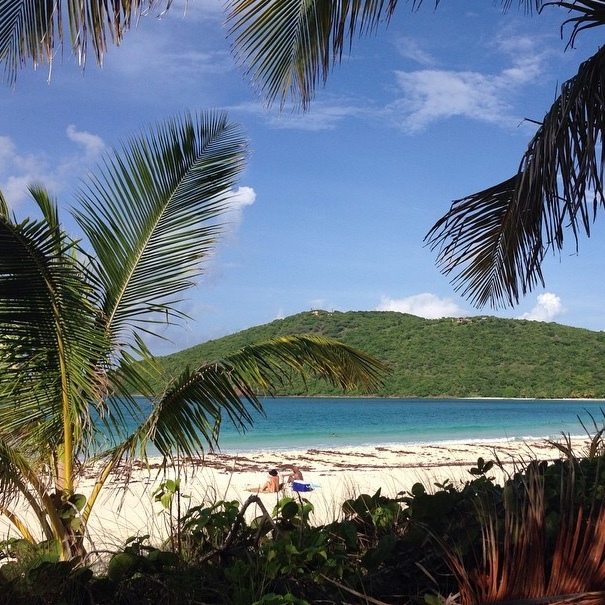 The man in the Panama hat. 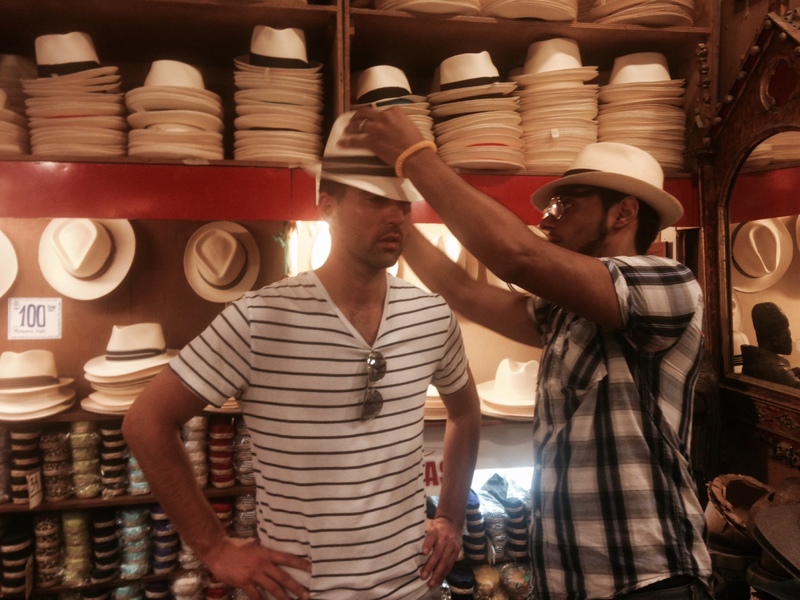 A walk through the streets of Old San Juan led us to Olé, a tiny hat shop where you can get a custom-fitted hat on the spot. Contrary to popular belief, the Panama hat comes to us from Ecuador, and the owner’s apprentice assured Mr. W and I that these were the real deal. “It’s an art,” he told us. 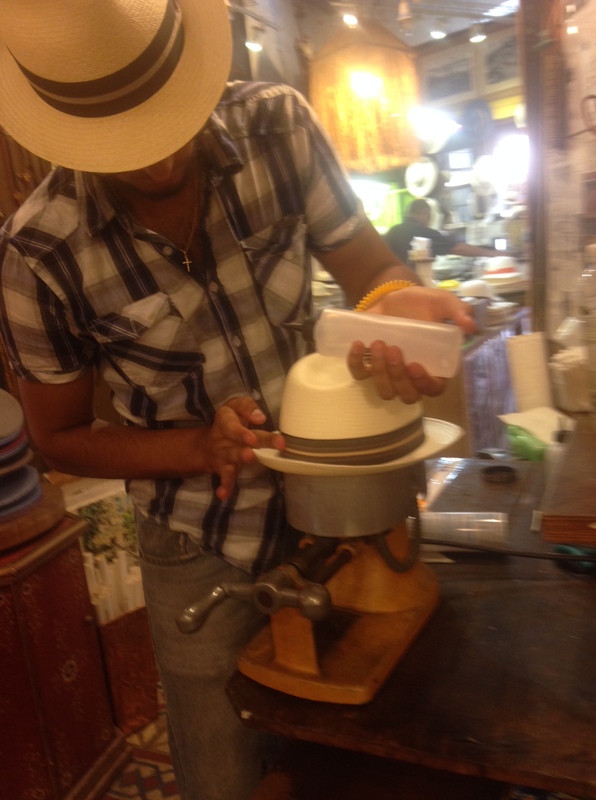 Every Fedora and Borsalino hat is hand-woven with straw from the toquilla palm, which is native to Ecuador. Mr. W chose a traditional brimmed Fedora for himself. I picked out the handsome striped ribbon. Fedorable, ain’t he? 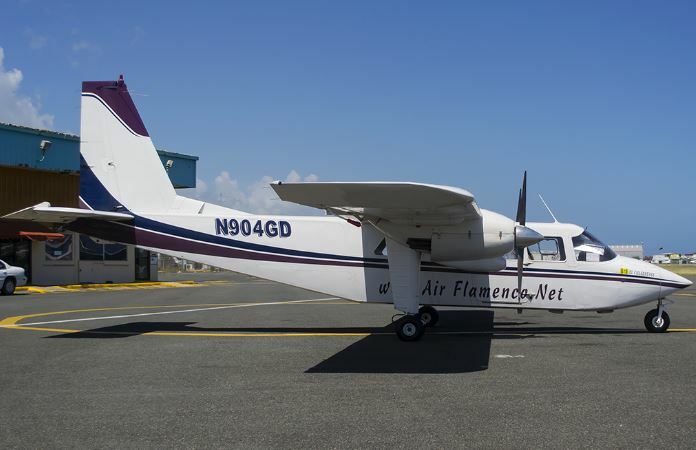 I present our Puerto Rican fixed wing, two-engine aircraft circa 1982, complete with leaky ceiling. 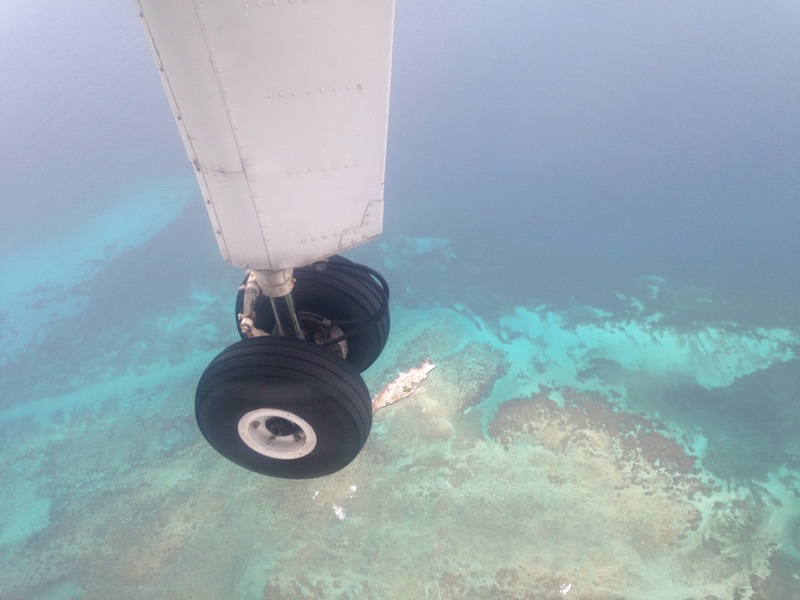 We piled inside this musty old baby with 8 other passengers and the pilot for a 30-minute jaunt over the mainland from San Juan to Isla Culebra. 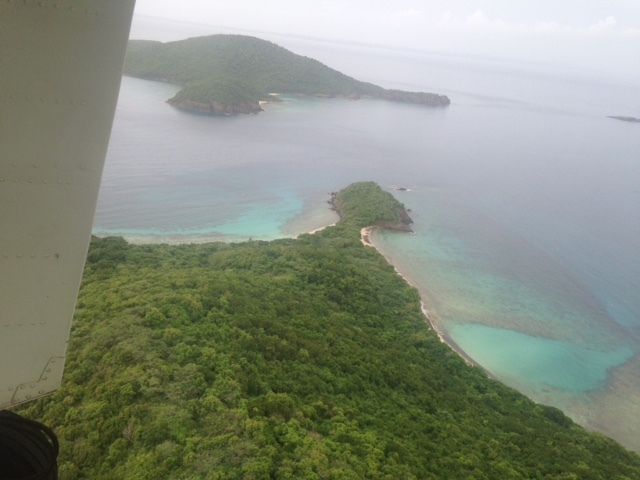 During the short flight over the Atlantic Ocean, I soon forgot about the potential for disaster. I mean, really. Check out that view. That’s Mr. 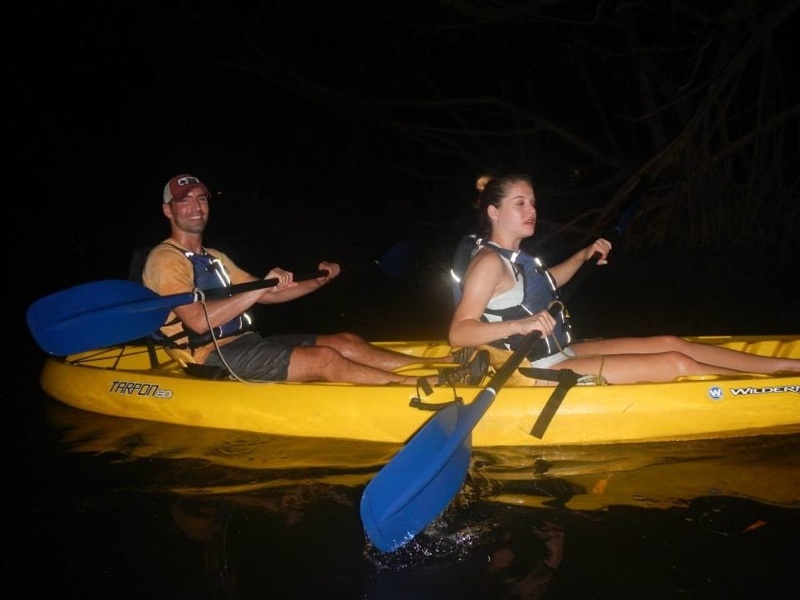 Wonderful looking fresh and rejuvenated after kayaking 3 miles round trip to the bioluminescent bay near Fajardo in the black of night. Excuse my strained expression. Our inadvertent Puerto Rican triathlon was a whirlwind of euphoric ziplining followed by a kick-your-booty hike through El Yunque National Rainforest. We capped it off with this pitch-dark paddle as a thunderstorm came rollin’ in — plus a fight to the death through mosquitoes and mangroves. Good times. Don’t try this at home.